As a parent I am very much aware of the importance of making sure I make healthy choices when it comes with what I give Darcy. But healthy doesn't always mean yummy when it comes to her. Luckily there are companies like Appy Kids Co, who are passionate about their products. All the ingredients they used are ethically sourced and they use renewable resources packaging. Appy Kids Co have released a new range of fruit juices based on Roald Dahl. 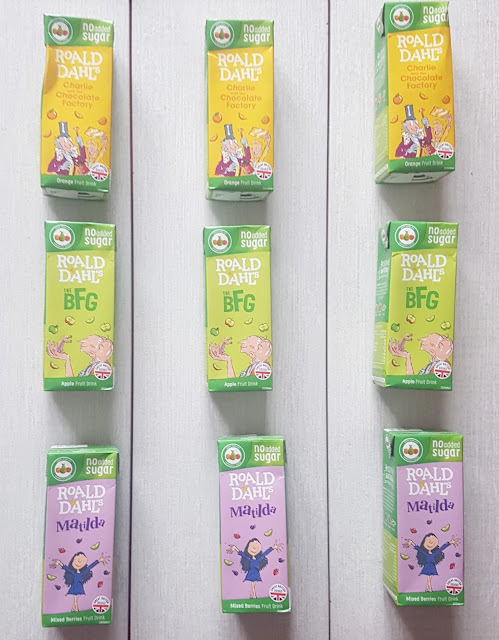 Apple juice BFG, Mixed berries Matilda and Orange Charlie & The Chocolate Factory. Here is a fun fact for you, Darcy's favourite film of all time is Charlie and the Chocolate Factory. I have lost count with how many times we have watched it. Not only has she got the original on DVD, she also has the remake with Johnny Deep and the Tom and Jerry version. Yes there is a Tom and Jerry version! 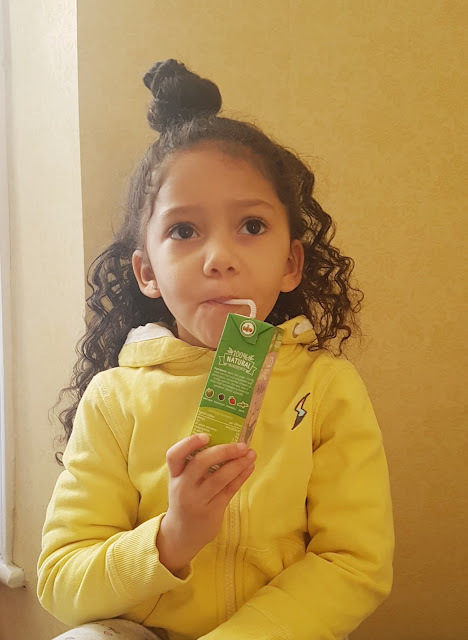 All their juices are created using natural ingredients and have no GMOs, gluten, artificial presentative or added sugars. Darcy really enjoyed testing out all the favours, her favourite was the mixed berries. Not only are the cartoons the perfect size for lunch boxes. 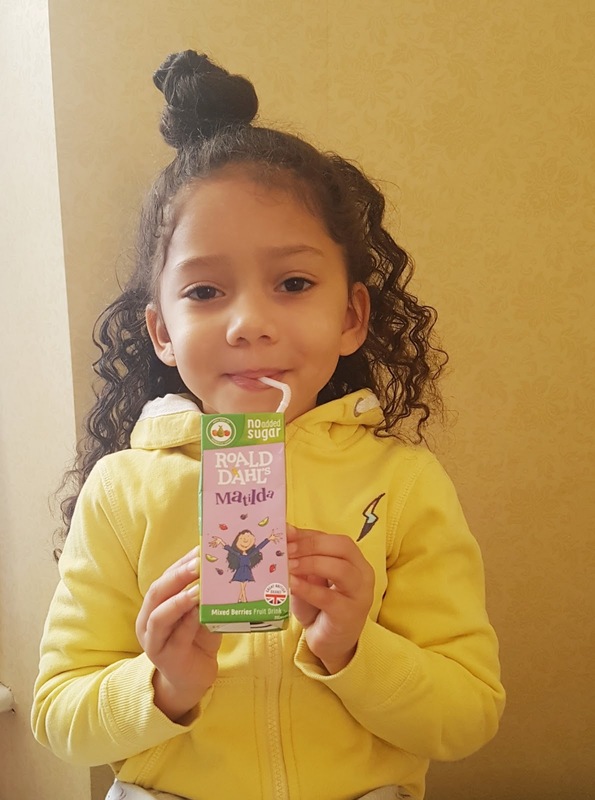 Their juices are fortified with vitamins A,C and E to give kids an extra boost of goodness. 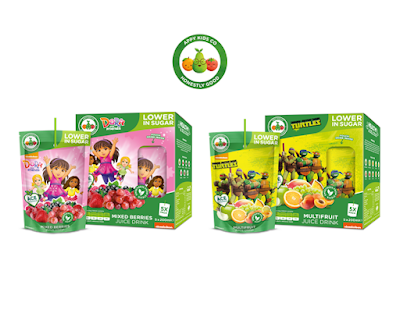 Appy Kids Co also have a mini fruit range. Which come in Peppa Pig organic raisins and Minions mulberries and raisins. 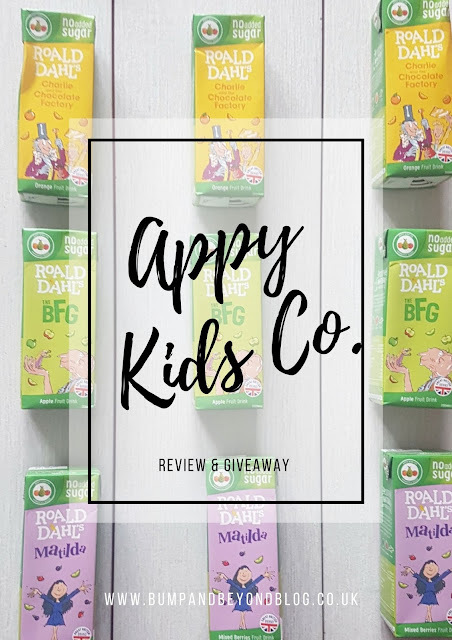 Appy Kids Co Drinks are available to buy from Tesco, Ocado, Amazon, Poundland and B & M.
Appy Kids Co have been lovely enough to give me 40 juices to give to one of my lucky readers. (4 boxes of TMNT and 4 boxes of Dora) To enter, simply complete one or more of the entries on the Rafflecoopter below. Good Luck! What’s your little one’s favourite Roald Dahl book character? At the moment it's Bean from Fantastic Mr Fox - no idea why but he is insisting this is who he wants to dress as for World Book Day! George from Georges Marvelous Medicine. My son's favourite is Willy Wonka! We all love Charlie. Thanks for this lovely giveaway. definitely the very clever Matilda! My son loves Matilda and the idea of magic! George from Georges Marvelous Medicine!